DCL's Medium size catalytic converters are ideal for stationary engines, 50 - 700 hp (37-522 kW), that operate under harsh conditions, where guaranteed emissions at minimal cost are a must. 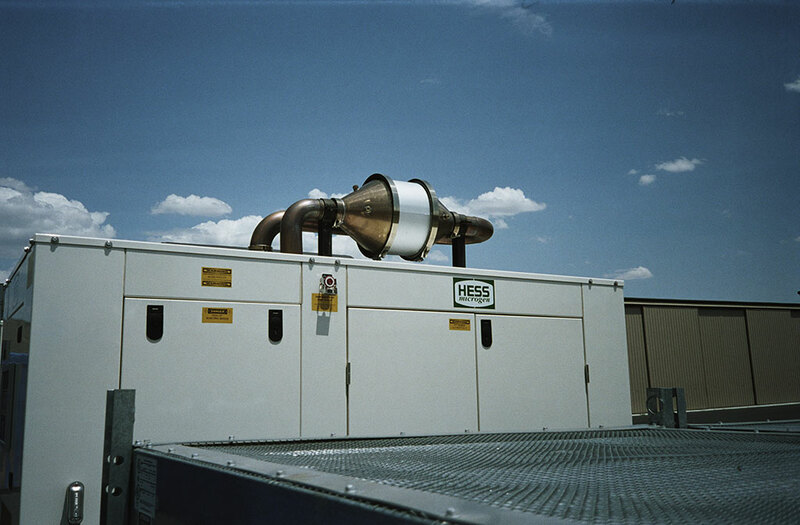 Common applications include natural gas engines and diesel engines driving gas compression, power generation, co-generation, fluid pumping and refrigeration. Solid brazed metal substrate for long term durability. Modular design, available with quick-release clamps for easy servicing. Available with ANSI or DIN flange connections, or a custom connection. Most units can be lifted by one person without the need for special equipment. DCL's medium size catalytic converters have been on the market for nearly 30 years and are the industry standard for reliable, long life operation. DCL backs every stationary engine catalytic converter with an emissions performance guarantee, providing you worry free compliance with environmental operating permits.